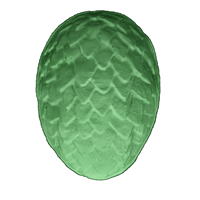 Inspired by the Game of Thrones Dragon Egg, this soap mold is perfect for fans of the show or dragon enthusiasts! Paint with mica paint for the ultimate whimsical affect! 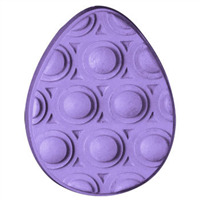 The Easter Egg Mini Mold can be used to create easter egg bath bombs or soaps for Easter time! 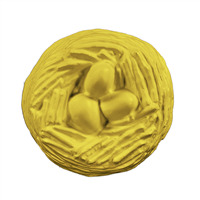 This mold has four cavities, featuring two different "painted" designs. 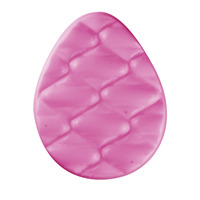 Bar Cavities: 4 Bar Depth: 0.875"
Bar Length: 2.625" Bar Width: 2.25"
The Egg Rolls Soap Mold is shaped like an egg and has a diamond like pattern rolling through it. 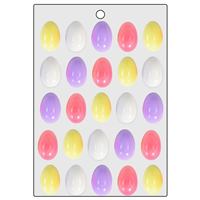 Use it to make soaps that are great for an Easter basket! 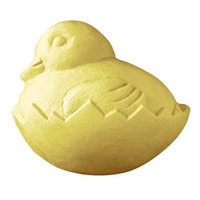 Use this soap mold to create mini eggs that are perfect for Easter time or to represent new life in the Spring! 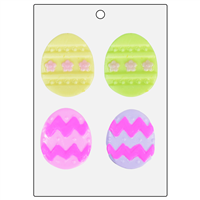 Color with pastels and these soaps make great for "Basket of Egg" soaps.